Music in the Vale has been very fortunate to have had the support from the Adjudicators listed below in 2012. Originally from Carmarthen in West Wales, Mark studied at the Guildhall School of Music & Drama and The National Opera Studio in London. After completing his studies, Mark immediately began working for most of the UK opera companies such including Welsh National Opera, English National Opera, Royal Opera House and the City Of Birmingham Symphony Orchestra. His operatic roles have included the title roles in Don Giovanni & Eugene Onegin, Marcello in La bohme & Papageno in Die Zauberflöte, as well creating the role of Jack for the world premiere of Music Theatre Wales’ production of House of the Gods. Marks busy singing career sees him working alongside the likes of Alfie Boe, OperaBabes, Shân Cothi & Dame Kiri Te Kanawa. His overseas work has included the prestigious opera gala to re-open the Madeira Opera House with National Orchestra of Portugal; a tour of America with Columbia Artistes, appearances at the Celtic Festival in Brittany; a series of concerts in New York following 9/11 on behalf of the British Government and performances as part of the UK in NY festival. He has sung Bread of Heaven with Katherine Jenkins at the Wales Millennium Stadium before a 75,000 strong international rugby crowd, appeared on many television programmes as well as being commissioned to present many radio programmes for BBC Radio Wales. Last year, Mark was chosen by director Guy Ritchie to take a part in the new Sherlock Holmes movie alongside Robert Downey Jnr, Jude Law & Stephen Fry. The film premiered in cinemas in December 2011. Alongside his movie debut, Mark released his debut album `Let the Light In` featuring duets with brother Wynne Evans and former royal harpist Catrin Finch. The album has been met with great success both in the UK and in the States. In March this year, Mark released a double single with the Band of the Welsh Guards for the Welsh Guards Afghanistan Appeal. Peter Wilman was born in Gloucester where he was a treble in the cathedral choir, he later gained a Masters in piano under the late Ronald Smith at Christchurch, Canterbury. During his time here, 1991-1996, Peter was also fortunate to work with Benjamin Luxon in college productions of The Gondoliers and The Magic Flute which gave him invaluable experience for a professional career. Although he fondly remembers being accidently stabbed during the opening night of The Flute, something that so far hasn’t happened since! Recent opera roles include Tom Rakewell for Opera East/Iford Arts; Beppe in Donizetti’s Rita for London Opera Productions; Don Ottavio, Don Giovanni for English Chamber Opera; Tamino, Magic Flute and Guillot in Manon for English Touring Opera; Ferrando, Cosi Fan Tutte for Co-Opera Ireland, Swansea City Opera, Opera a la Carte and English Touring Opera (cover) and Almaviva in Barber of Seville for Swansea City Opera. Also Bardolph in Falstaff for Opera Project, The Cockerel in The Cunning Vixen and Snout in A Midsummer Night’s Dream at the Longborough Festival and Man in Dolfin for Welsh National Opera. Peter also recorded the role of Sir Andret in Rutland Boughton’s The Queen of Cornwall with the New London Orchestra under Ronald Corp for Dutton Epoch. In concert he has performed most of the oratorio repertoire from Carissimi’s Jepthe and Bach’s great Evangelists through to later C20th works throughout the UK and beyond. Highlights include Bach’s Magnificat at the Kings Hall, Newcastle and Colston Hall, Bristol; Britten’s St.Nicolas at St.Paul’s Knightsbridge; Boris Godunov at St.David’s Hall, Cardiff; Bach Cantata, Jesu Meine Freunde for BBC Radio 3; Beethoven’s 9th, St.John’s Smith Square; Bach’s St. John Passion (arias), Coventry Cathedral with the ESO; Tippet Spirituals with the CBSO Chorus at the Cheltenham Festival, Weill’s Seven Deadly Sins in Cuenca and Bilbao and Reich’s Daniel Variations at the Muziekgebouw, Amsterdam. Also, On Wenlock Edge in Cambridge with the Fitzwilliam Quartet; Finzi’s Dies Natalis conducted by the composer’s son, Janacek’s Otcenas with Thomas Trotter in Cardiff, Elijah and Judas Maccabeus at the Yehudi Menuhin Hall; Monteverdi Vespers in Ripon and Wakefield cathedrals, Mozart Requiem in Canterbury Cathedral, Handel’s Samson and Messiah in Gloucester cathedral, Missa Creolla in Tewkesbury Abbey and Rossini’s Petite Messe Solonelle at St. John’s, Smith Square. More recently Hiawatha’s Wedding Feast by Coleridge-Taylor at the Butterworth Hall and tenor soloist in Berg’s Wozzeck at the RFH and Theatre des Champs-Elysees under Esa-Peka Salonen and the Philharmonia Orchestra. Peter is also in demand as a recitalist and has premiered songs by Gurney at the Malvern Songfest where he recently sang Schubert’s Die Schone Mullerin. Elsewhere he has performed all the tenor songs of Finzi at the Nottingham and Canterbury Festivals and has given recitals at the Buxton Festival, Warwick Arts Centre and to the Holst Society in Cheltenham sponsored by the Vaughan Williams Trust. Peter also recently completed a Strauss Viennese tour performing operetta throughout the UK and Ireland with the European Orchestral Ensemble. Born in Glamorgan, Sharon graduated from the University of Wales and continued her studies at the University of Keele, the Guildhall School of Music and Drama, and finally at the National Opera Studio. of Welsh National Opera including at the Faenol Festival in North Wales. As an accompanist, Sharon plays for singers and instrumentalists and has also taken part in masterclasses given by distinguished artists including Dame Janet Baker Brigitte Nielsen, Richard Bonynge and Ileana Cotrubas. As an orchestral pianist she has appeared with the BBC National Orchestra of Wales, the Royal Liverpool Philharmonic Orchestra and the English Northern Sinfonia. She also works regularly as an audition accompanist for the BBCNOW. From 1999 to 2001 Sharon was Accompanist to the BBC National Chorus of Wales where she worked closely with Richard Hickox, Paul Daniel and Grant Llewelyn. Sharon is a Vocal Coach at the Royal Welsh College of Music and Drama and the Wales International Academy of Voice. She teaches piano at the United World College of the Atlantic and is also a member of the Examining Panel for the Associated Board of the Royal Schools of Music. 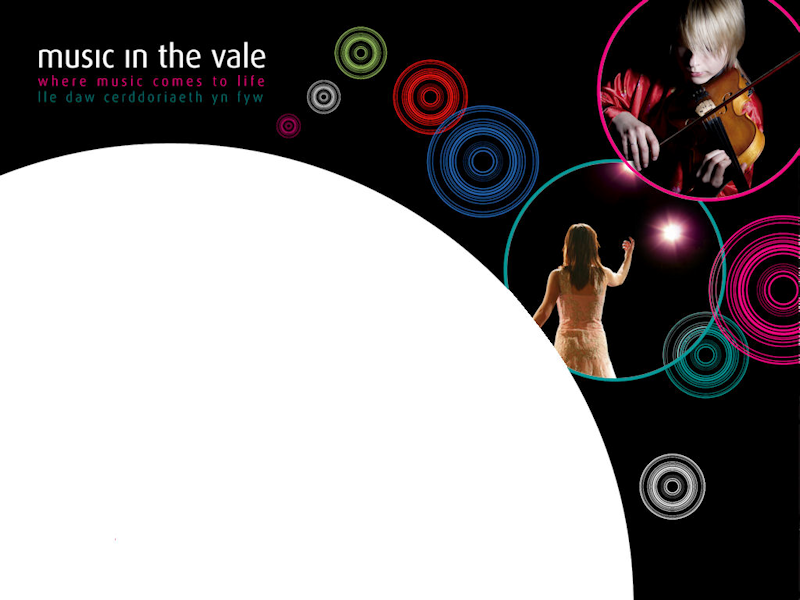 Christopher Vale studied at the Royal College of Music under Kerry Camden. He achieved the highest College Grade, and won the Arthur Somerville Bassoon Prize. He gained his A.R.C.M. in Bassoon and A R C M (teachers dip) in Piano. He is at present Sub- principal Bassoon doubling Contra at Welsh National Opera. Previous to this he was principal Bassoon with the New Sadlers Wells Opera, also principal Bassoon for Orchestral Services, involving work with the Cuban, Australian and Houston Ballet Companies. His Contra work has included Welsh National Opera productions of Wozzeck, and the Wagner Ring Cycle, Salome and Elektra. He has played Contra bassoon for the Sadlers Wells Royal Ballet. He is also on call for extra work with the BBC National Orchestra of Wales, the Bournemouth Symphony Orchestra and the Liverpool Philharmonic Orchestra, Orchestra of St Johns Smith Square, and has recently been working for S4C film music and BBC Radio Four on both Bassoon and Contra - Bassoon. Christopher teaches bassoon and piano at the Cathedral School Llandaff, as well as working at the Royal Welsh College of music and drama as Contra bassoon Tutor. He has worked on music courses, and has run his own as director of Music for Fun, and The Rez a theatre residential school which puts a musical on in a week. Christopher takes part as a performer in MAX projects for WNO. `The Boy Who Went to the West Wind` by John Ohara and `The Real Princess` Helen Woods is taking opera to primary schools in England and Wales. He has been Acting Head of the Junior Music and Access Studies at the Royal Welsh College of Music and Drama and now works on outreach projects at the College as well as being a MAX project co-ordinator for Welsh National Opera.